The season in which he took over the team was, in theory, a transitional period. Various players had to fit into the team; players who had been on loan, youngsters from the Barça youth squad - like Rexach, and other signings like Gallego (a great central defender), Müller or Reina. His strong character made him an unpopular manager with the players. After a defeat at the hands of Elche, he even went as far as dropping Vicente and Rey from the team because of their poor performances. Finally, in his first season as manager, the team ended up third in the league. Barça also won the Fairs Cup, beating Zaragoza. The following season, 1966-67, was not a successfull one and the Board decided to sign new coach in Salvador Artigas. 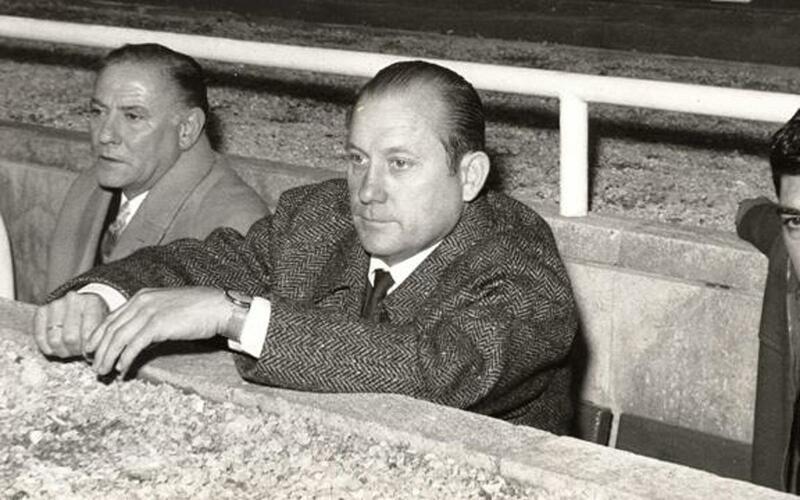 After his spell at Barça, he would go to coach until 1992 when he died whilst in charge at Las Palmas.